Celebrating anniversaries can be a tricky business: how do you do it? You can buy a nice cake, a bottle of champagne, or perhaps a nice bunch of flowers. Alternatively, if you're Nintendo celebrating Kirby's 20th anniversary with Kirby's Dream Collection Special Edition, you also arrange to try and break the world record for simultaneous chewing gum bubbles. Of course. 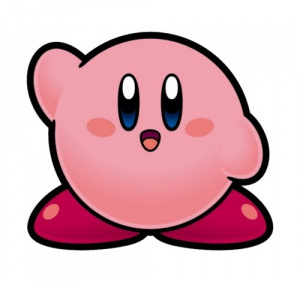 Kirby can be a tricky puffball to imitate in fairness, so blowing bubbles from chewing gum, as long as it's pink, does make some sense. Nintendo will invite attendees of PAX Prime to take part in the event, trying to beat the current record of 304. The full details of place and time are in the press release below, and you'll realise that this isn't the most delayed April Fools of all time. Fans of Nintendo’s classic Kirby™ character will come together for a new Guinness World Records® attempt for the most people blowing a chewing gum bubble simultaneously. At the PAX Prime conference on Sept. 1, these consumers will not only attempt to break the standing record of 304 participants but will also get the chance to win fun prizes, including Kirby’s Dream Collection: Special Edition. 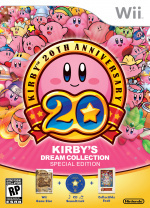 The event will help to commemorate the 20th anniversary of the Kirby franchise and celebrate the upcoming Sept. 16 launch of Kirby’s Dream Collection: Special Edition for Wii. For two decades, the unique-looking pink hero known as Kirby has been inhaling his way through Dream Land and into the hearts of video game fans everywhere. While he may be pink, round and adorable, he’s also a ferocious warrior who defeats his enemies by inhaling objects and spitting them back out with incredible force, making him one of the most recognizable and beloved game characters in the world. Kirby’s Dream Collection: Special Edition features six fan-favourite games from the Kirby franchise on one disc, plus additional challenge stages, a commemorative booklet, a music CD and an interactive timeline that gives players a fun way to explore Kirby's colorful history. For more information about this special edition, visit http://kirby.nintendo.com/dreamcollection. And if Reggie, Iwata and Miyamoto aren't blowing bubbles I'm gonna be mad! ....Okay then. I look forward to all the footage and pictures of the attempt. Aw, wish I could go. Although I can't even blow a bubble. They are all like, pass the double bubble. Still better than Mario's anniversary. Well, I hope they make it (^_^) And I also hope we get to see something from the attempt. Reggie should be practicing right now I'll buy gum so I can make bubbles and send supporting thoughts. I can't blow bubbles but I would still want to go. @MrWalkieTalkie I wish! If it did that would be sooo sweeeeet! Sweet that they are doing this in my hometown, Seattle! I never learned how to blow bubbles with gum. I'm 31 and I still can't figure out how to blow bubbles! On a sidenote: Still no European release-date for the Kirby collection?! You must be kidding, Nintendo! I'm going to PAX, might as well break a world record while I'm at it!!! On this subject, I can't blow bubbles, which annoys the hell out of me! Awww, if I still lived in Seattle I would totally be a part of this. Today's the first time I've seen the cover, nice box art. I'll keep this on my list of things to buy when TRU has it's annual B1G1 sale as even at $40 it seems a bit much for me. My son the big Kirby fan turns 8 in Jan. so maybe an after holiday sale. All these Wii games should work correctly on WiiU, yes? Both Xbox360 and PS3 were supposed to have backwards compatibility but I think we all know how well that turned out.